Not ever having been too geeked up by the Lew-Wolff-to-the-Dodgers conspiracy theories, we find the new news from Divorce McCourt fascinating, though slightly baffling. With Bud Selig�s energies about to be turned full-force onto what will be a parade of nuisance lawsuits from McCourt now that his plan to have Fox pay for his divorce has been foiled, the A�s go even further onto a back burner. In fact, the A�s are now behind the stove entirely. It is a view the franchise should be used to, but one of its own making. The San Jose gambit seems essentially undone, not because of inaction from Major League Baseball but from the California side, and slowly but surely it is dawning on people that the ownership�s next step is in fact an exit strategy. It doesn�t have to happen right away, not while the revenue-sharing pixie waves her fortune-dispensing wand each year. But unless Wolff and John Fisher have a change of heart about Oakland, or would rather have a team in an old park than none at all, they�re pretty well boxed. San Jose can�t save them. MLB can�t save them. They don�t seem amenable to the �Screw it we�ll do it ourselves� plan, and whatever back-channeling Wolff could do with Selig to whip territorial rights votes his way has either failed or not been done at all. 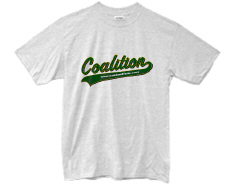 Now that the Dodgers are the game, the A�s are just not an issue. And with labor discord scheduled just up the road, the problem of Oakland will remain, well behind the stove. In other words, the status is way quo, and is going to stay quo for the foreseeable future. Unless, the conspiracy freaks and tinfoil-hatters are correct in their supposition that Wolff�s road out of town is Highway 5, to the 110. That may be true in the end; one always guesses as to just how close Selig and Wolff actually are, and whether Wolff wants a piece of the Dodgers in their current distressed state. But for the moment, McCourt seems ready to blizzard MLB with court dates protecting his prerogatives as well as he can given that he may have take his lawyering out in trade. That hardly seems like the barrel of monkey owning the Dodgers used to be. Wolff may, in fact, want to wait until the shrapnel clears if L.A. is in fact his goal. That leaves the A�s where they have always been -- in the Eat At Joe�s Coliseum, without discernible options for relocation, no chance for contraction, and unless they can find the next Walter Haas, always available for strangulation. Indeed, what the A�s need most isn�t a ballpark at all, but a sense of greater purpose that starts in the big leather chair and works its way down. They need an owner who wants to make his stand in Oakland, whether it be on the present site, Victory Court, or in the Piedmont hills. They need an owner who wants to engage the Giants despite the disadvantages inherent in their position. The franchise needs an owner who frankly is willing to forgo the unicorn of San Jose and get people believing that this team has its own intrinsic value. Maybe that requires a building. Maybe not. But in an ever-shifting landscape -- anyone want to take bets that the Raiders will still be in Oakland in a decade, or that the Warriors won�t flee for South�O�Market? -- what we believe as immutable truth with the A�s rarely is. All things are cyclical, including the Giants� hegemony, and all it takes to change the equation again is someone who knows not the grass isn�t greener, but that there is no other patch of grass. No other city to move to, no new stadium awaiting them down the 880, nothing but the right here. And other than the fact that it�s damned difficult to find such a person or persons, that has always been the fact. In sum, the A�s don�t have a Portland plan, or a Sacramento plan, or a Memphis plan, or a San Antonio plan. The San Jose plan is withering if not completely dead. And contraction isn�t an option because whatever it takes to buy out the A�s, it will take six times that when the other owners who want an easy way out of their situations petition MLB for the same deal the A�s got. This is what they have, and this is who they are. And as long as Frankie Empty Pockets can make trouble in L.A., and as long as a new CBA remains undone, that will not change in the slightest. <!-Text-!> Just because Ratto says it doesn't make it so. It's his opinion, not fact. That moves up the Oakland A's saga on Selig's list of order of the day...and his order of the day is to somehow and someway eliminate the Oakland from the A's. Ratto doesn't believe contraction is possible and I hope he's right. But I've learned to never underestimate Godfather Selig.